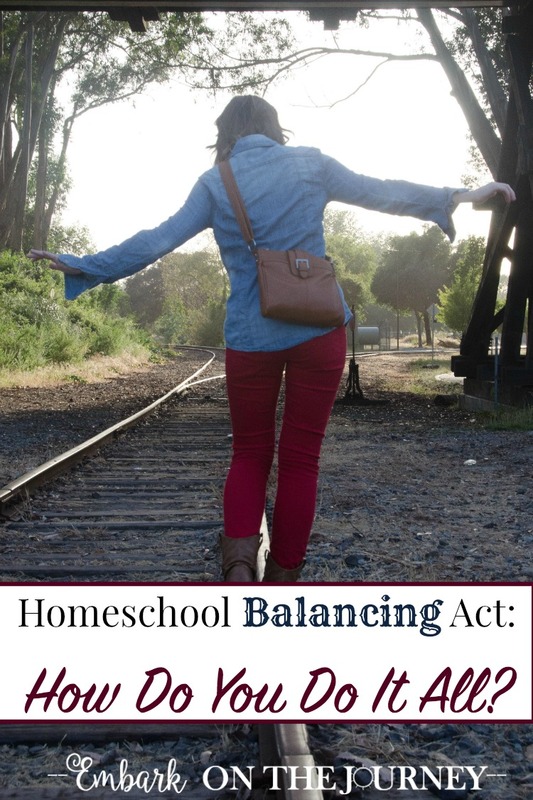 Homeschooling is a constant balancing act. Even after being on this homeschool journey for almost fifteen years, I find myself teetering on that imaginary tightrope. I find myself struggling to reach a balance. 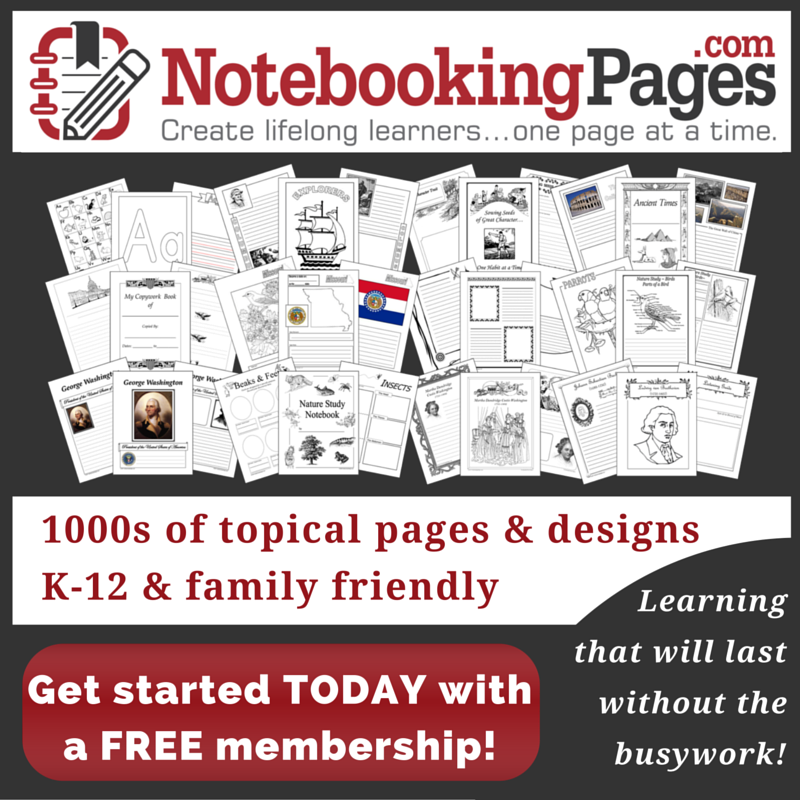 How can I achieve homeschool balance? How in the world am I supposed to homeschool, clean the house, keep up with the laundry, run kids to and from activities, spend time with the family, and still get dinner on the table every night? Not to mention lesson planning, running two blogs, and writing for several others. Without super powers – or a clone or two – is it really even possible to do everything that needs to be done around here? No one does it all. I don’t, and you won’t either. It’s just not possible. There aren’t enough hours in the day to “do it all.” We all have to decide on our priorities at the moment. And, our priorities will change from day to day or week to week. When you look at someone who seems to have it all together, who seems to be able to do it all, you are missing a behind-the-scene look. There is something they are not doing. So, how do we decide what needs to be done today? How do we keep our heads above water? Put one step in front of the other when you’re overwhelmed with all that needs to be done. Focus on the “have to’s. ” What are your have to’s today or this week? Laundry? Dinner? Math? Snuggling with a newborn, cranky toddler, or sick tween? Whatever it is, find peace in the priorities. Take one step at a time. Mark off one to-do at a time. Or, don’t worry about the to-dos. Focus on what is most important right now. If you can’t get to the laundry today because a little one needs you, declare a pajama day. No time to cook an intricate dinner from scratch? Make some grilled cheese and call it a day. There are times when I can freezer cook and bake homemade bread, and there are times we rely on pizza and Chick-fil-a. There are times I am able to do a load or two of laundry a day, and I’m feeling pretty good about life. There are other times when I can’t get caught up no matter how hard I work! There are times I can schedule fun art projects and field trips for Emma, and there are seasons when we take it back to the basics. It all changes from day to day and week to week depending on what is going on in our lives at the moment. Divvy up the load! I have to have help around the house, because I just cannot do it all. My kids have chores, and they have since they were young. Isaac has kitchen duty on the nights he doesn’t work, and Emma does it when he’s gone. Em takes care of the pets, and Isaac mows the yard. Everyone does their own laundry. Older kids can help with school, too. I’ve had an older child give a younger one a spelling test. I’ve had one child listen to another read-aloud. An older sibling can play with a younger one while you work with yet another. We’re all balancing on the tightrope of life. We are only human. We only have two hands. There are only so many hours in the day no matter how long or short your to-do list is. Forget the image of doing it all. Look at your to-dos and decide what is actually a must-do and what can wait. Divvy up the load so that you can accomplish a little more in your day. How do you balance everything that you must do as a wife, mom, and homeschooler? Love it. I too blog, write for other sources, homeschool and run a home business. The past few weeks especially I have felt like I absolutely can’t do it all . I’m right there with you! We typically try to do all the basics during September -May and then do “fun” school during the summer. This year we are going to do the Olympics with some friends. I do a lot of crock pot dinners and the kids are usually on their own for lunch, except on Tuesdays, when I declare it leftovers day because we are at church all morning for a MOMS group. My older kids take turns doing the dishes and do their own laundry. And honestly, during the week we pick up the house, but save deeper cleaning for the weekend. WI think 6 people in the house there is always mountains of laundry, which we do as we need it. Balance is so hard to maintain. I like what you said about prioritizing and how those priorities will change from season to season. Being flexible is key and giving ourselves grace when things don’t go as planned is also important. Thanks for a great post! First, I will try to make a short simple list of things I MUST do, NEED to do, and WANT to do. Then, celebrate all the things I did accomplish and try not to feel bad if I could not get to finish the rest. Then, plan next day again. It really helps reminding how much things I have done even around the house and my kids all day. Pretty much the same way you do; I prioritize what needs to be done each day. I delegate chores and we work together to tackle the list. I use every spare moment in the day to it’s fullest even if it just means sitting down and watching a TV show. “Doing it all” is something I somewhat struggle with because I homeschool. I do have a planner that I write things down that I want/need to accomplish that day and most of the time it gets done, but other times it’s going to have to wait until I have more more to do it. I try to get the more important things done first then do the less important tasks. Dividing up the workload is vital to our success. We are all responsible for various things in our home. When we didn’t have this system in place we were always behind the eight ball. I was miserable. Luckily, my husband didn’t let that last long in our home. Having the older kids help the younger is kids is definitely a huge advantage too! I have installed in my kids to be independent learners as much as possible too. I’m an avid fan of finding programs that teach them without me having to hold their hands. We all just have to find a system that works for our families. I’ll add an “amen” to the commenters who say they divide and conquer. We do the same here. There are 14 of us at home, and we MUST work together. Great thoughts! Homeschooling is uniquely challenging, and it sounds like you’re doing a great job being aware and striving for balance. 🙂 Thank you for sharing at #FridayFrivolity — pinning and tweeting!